In order to understand what's happening today, we need to revisit some of the major events from 1920 to 1950 that helped shape the state's post-independence history. Quite often, people from other parts of the country appear a bit puzzled at the emotional response of the Assamese people to the question of identity and demographic change. This is often seen as an expression of an insular mindset, or even as a sign of xenophobia. In order to understand and appreciate as to why many in Assam see the National Register of Citizens as the ‘ayush rekha’ or lifeline of the Assamese people, there is a need to revisit some of the major events from 1920 to 1950 that centred around immigration, land and identity – moments which helped shape Assam’s post-Independence history. During the first two decades of the twentieth century, the British colonial state encouraged large numbers of Bengali Muslim peasants from the over-populated districts of eastern Bengal, where land had reached the limits of cultivation, to migrate and settle in the uncultivated stretches of the Brahmaputra Valley. Soon, however, immigrants started encroaching on land cultivated by the indigenes and there arose the possibility of social tension. Therefore, as early as 1920, a Line System was adopted as an administrative measure by the British colonialists in the districts of Kamrup and Nowgong with the stated aim of protecting the lands of the autochthons from Bengali Muslim immigrants. After the 1921 census report referred to the large-scale migration into Assam of Muslim peasants from East Bengal and a resolution was moved in the legislative council in 1925, colonial officials met in Shillong to discuss amendments to the Assam Land and Revenue Regulations of 1886 so as to protect the transfer of land cultivated by the indigenous Assamese peasants to immigrants. Not only did this move fail, but the opposite happened when in 1928 the British administrators put into effect the ‘Colonisation Scheme’ which opened up large areas of the Nowgong district and the Barpeta and Mangaldoi subdivisions for settlement by immigrants. While releasing the 1931 census figures, the then census commissioner S.C. Mullan stated that the nature and dimension of the immigration was bound to radically alter the socio-cultural profile of the region and affect the future of the Assamese people as a whole. “During the six years preceding 1936, as many as 59 grazing, forest and village reserves had been thrown open in Nowgong under the Colonisation Scheme for settling the immigrants. Out of the district’s total occupied area of 5,41,160 acres – sown and fallow – in 1936, 2,04,078 acres or 37.7% were under immigrants’ occupation, as against 62.3% cent still in the hands of indigenous people… The land hungry Muslim immigrants, segregated and pitted against all odds, never appreciated the Assamese point of view… They wanted the Line System to go. If only it would concede them the right to a new home, they would even follow the Congress flag”. Guha is here referring only to the district of Nowgong, which is now called Nagaon. The pattern had already occurred in Goalpara and Barpeta districts and was soon to be repeated in the Darrang district. With several of the plains tribes still accustomed to shifting cultivation, government reserves, grazing reserves and village community land were a part of their life pattern. These lands were integral to their ethos of living and they did not consider them only from the point of view of crops and revenue. These two very different approaches to land and life were bound to clash, with the indigenous Assamese and the plains tribals increasingly viewing the immigrant occupation of land as a threat to their identity and culture. When Syed Mohammad Saadulla took over as the prime minister of Assam in 1937 with the backing of the Muslim League, steps were initiated to speed up the flow of Muslim immigrants into Assam. Almost simultaneously, the Muslim League leaders of Assam stepped up the demand for the abolition of the Line System. As Assamese concerns grew at this persistent demand, the government appointed a Line System Enquiry Committee under the chairmanship of F.W. Hockenhull which submitted its report in favour of continuing the Line System while suggesting strong measures to prevent alienation of tribal land. It also disfavoured settlement of land with the post-1938 immigrants. 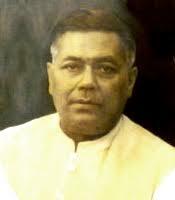 The short-lived Congress coalition ministry (September 19, 1938 – November 16, 1939) headed by Gopinath Bardoloi tried to undo some of the harm done to indigenous land interests by endorsing the Hockenhull Committee’s report and trying to put a stop to settlement of land by post-1938 immigrants. But the Bardoloi government had to resign following the Congress Working Committee’s decision to withdraw from all state governments. Following this, Saadulla again formed a government for the third time with the support of the Muslim League (November 17, 1939 – December 25, 1941). The immigration issue got swiftly politically polarised once the Muslim League adopted the Lahore Resolution of 1940 which called for a separate homeland for India’s Muslims. Within a year, the Saadulla ministry adopted the controversial Land Development Scheme which de-reserved the Professional Grazing Reserves (PGRs) in the districts of Kamrup, Darrang and Nowgong and opened them up for settlement by immigrants while restrictions on land occupation by post-1938 immigrants were done away with for all practical purposes. It was during this period that tribal reserves were further opened up. Thus, in just one year (1940-41), the Saadulla government settled Bengali Muslim immigrants on 1,50,000 bighas of land in the Brahmaputra Valley. 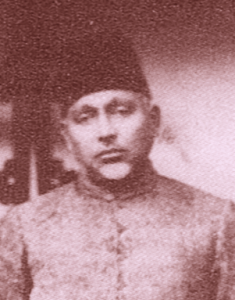 Though Saadulla joined the Muslim League in 1937, throughout his political career he tried to chart out an independent course by keeping in check the more radical elements of the Muslim League led by Maulana Bhasani. Although he regularly briefed both Mohammad Ali Jinnah and Liaquat Ali Khan about his efforts to increase the Muslim population of Assam and of his loyalty to the politics of the League, yet, at one particular point even he berated the immigrant lobby for creating a Palestine-like situation in Assam by literally pushing out the indigenous people from their lands. Nonetheless, it was the third Saadulla ministry that further opened up the floodgates of immigration and occupation of land. Meanwhile, in March 1942, the Saadulla ministry fell and Governor’s Rule was declared and one of the first acts of the governor was to scrap Saadulla’s Land Development Scheme. But Saadulla came back to power within a few months and the fourth Saadulla ministry (August 25, 1942 – March 23, 1945) revived the land development scheme and initiated the Grow More Food Programme ostensibly aimed at helping the war economy but actually meant to further open up the grazing reserves and wastelands in the districts of Nowgong, Darrang and Kamrup for settlement by immigrant Muslim peasants. Interestingly, around this time, the Bengal legislative council carried a resolution (July 16, 1943) calling upon the Government of India to take immediate steps to do away with all restrictions in Assam on the land hungry immigrant cultivators from Bengal. As the Muslim League stepped up its demand for total abolition of the Line System and also called for Syed Saadulla’s resignation, the latter bypassed the League, reached out for non-League support and convened an all-party conference on land which couldn’t reach any conclusions. However, the government went ahead with a Government Resolution on land which, while talking of providing land to the landless Assamese and protecting the PGRs from further occupation, was actually intended to speedily settle all the post-1938 immigrants. The Muslim League strongly opposed this because the Line System was still on, while the Congress had its own reservations because it felt that too much power had been vested on the local officials who could favour the immigrants. In March 1945, the Assam assembly debated at length the issue of immigration and land occupation, with the house vertically divided between the Congress and the League. The issue of alienation of tribal land got special focus and Bardoloi opposed the government’s land policy as ‘anti-tribal’ and ‘anti-Assamese’. Finally, Saadulla resigned and reconstituted his ministry with outside support from the Congress which resulted in the Tripartite Agreement to prevent further alienation of land belonging to the indigenous people and encroachment in the reserves. But towards the end of 1945 the Congress withdrew its support for the Saadulla ministry for failing to implement the Tripartite Agreement and Gopinath Bardoloi headed the new government after the Congress victory at the polls (January 1946 – August 14, 1946). Immediately after assuming office, the Bardoloi government took measures to evict the encroachers from the PGRs and other government land. Reacting to this, the Muslim League drew up plans for ‘direct action’ and ‘civil disobedience’ on the land question. Meanwhile the Cabinet Mission Plan was announced and the land and immigration issue became a part of the Muslim League strategy to make Assam a part of the eastern Zone of the proposed Pakistan. 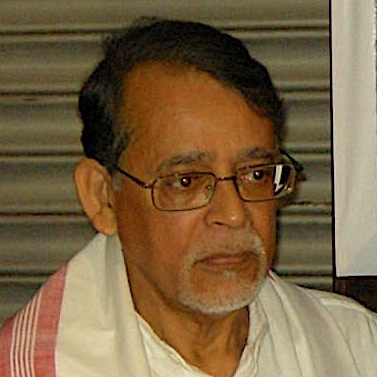 Though the Assam Provincial Muslim League launched its ‘civil disobedience movement’ and the League leader Bhasani called for forceful occupation of government land by immigrants, the movement failed to take off, especially after the dropping of the Cabinet Mission proposals and the transfer of Sylhet to Pakistan through a referendum. Independence and Partition saw a huge influx of Bengali Hindu refugees into Assam, official figures released in 1951 put the number at some 3 lakh and by 1961, the figure crossed 6.5 lakh. Another 4.5 lakh entered Assam in 1968. Along with this, immigration of Bengali Muslims from East Pakistan continued and in May 1949, chief minister Gopinath Bardoloi wrote to prime minister Jawaharlal Nehru for the introduction of a Permit System in view of large-scale immigration of Bengali Muslims (estimated then at some 5 lakhs) into Assam. With India and Pakistan becoming separate sovereign states, immigration from East Pakistan now was no longer a movement of people, state-sponsored or otherwise, from one part of the country to another. It now involved the question of citizenship, especially after the passport rules were put into effect from October 1950. The same year also saw the first major communal riots in lower Assam forcing over a lakh of Muslims to leave the state. However, a majority of these displaced people returned to Assam following the Nehru-Liaquat Pact. Illegal immigration took on such overtones that parliament debated the issue at length in February 1950 and passed the Immigrants (Expulsion from Assam) Act. But this and the later PIP scheme did little to effectively check the flow of illegal migrants from East Pakistan. Official records refer to thousands of illegal immigrants having been “deported” from Assam over the years. In the absence of any repatriation treaty with East Pakistan, illegal immigrants were just “pushed back”, only to return through some other route. The same situation prevails today when one talks of the Assam Accord which refers ‘detection’, ‘deletion’ and ‘deportation’ of illegal Bangladeshis. But the question of deportation seems simply impossible since India does not have any such treaty with Bangladesh nor does it intend to have one in the near future. Constraints of space do not allow me to go into the details of the different census reports which have shown the progressive increase in the population of Muslims as against the decline in the Hindu population of Assam. Many have contested the view that this increase has been due to illegal infiltration from Bangladesh and have attributed it to other factors. Leaving the debate for some other time, I would just like to refer here to the Supreme Court judgements which throw light on the seriousness of the problem of illegal immigration and demographic change. 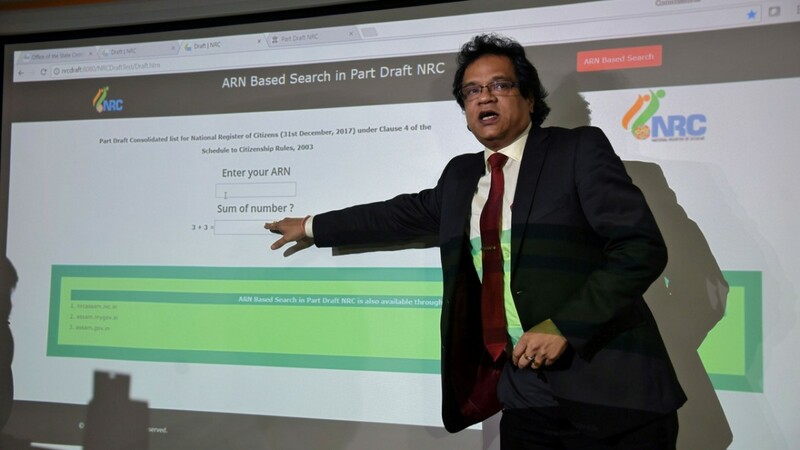 That the Supreme Court decided to monitor the process of updating the NRC (the first NRC having been prepared in Assam in 1952 based on the 1951 electoral rolls) was not a sudden development. It was the culmination of several judgements of the apex court relating to the problem of illegal immigration into Assam. First, let us take up the judgement of the Supreme Court given in July 2005 when it struck down the contentious Illegal Migrants (Determination by Tribunals) Act, 1983. This Act had made the detection of illegal migrants next to impossible by putting the onus of proving someone as an illegal immigrant on any Indian citizen residing within three kilometres of the residence of the person against whom the allegation has been made. While striking down the IMDT Act as ulta vires of the Constitution of India , the Supreme Court stated that it had “created the biggest hurdle and (was) the main impediment or barrier for the identification and deportation of illegal migrants”. The court, in its 114-page judgment, noted that this “aggression” had made the life of the people of Assam “wholly insecure and the panic generated thereby had created fear psychosis.” The Bench pointed out that the IMDT Act and Rules had been so made that innumerable and insurmountable difficulties were created in identification and deportation of illegal migrants and that though enquiries were initiated in 3,10,759 cases under the IMDT Act, only 10,015 persons were declared illegal migrants and only 1,481 illegal migrants were physically expelled up to April 30, 2000. It stated that on the contrary in West Bengal, where Foreigners Act was applicable, 4, 89,046 persons were deported between 1983 and November 1998, which was a lesser period. Significantly, the Bench noted that “the IMDT Act and the Rules clearly negate the constitutional mandate contained in Article 355 of the constitution, where a duty has been cast upon the Union of India to protect every State against external aggression and internal disturbance. The IMDT Act, which contravenes Article 355 of the constitution is, therefore, wholly unconstitutional and must be struck down”. Following this, the Supreme Court gave another observation made on December 17, 2014, on the writ petition filed by the Asom Sanmilita Mahasangha and two other organisations. It began by saying: “A prophet is without honour in his own country. Substitute ‘citizen’ for ‘prophet’ and you will get the gist of the various writ petitions filed under Article 32 of the Constitution of India assailing Section 6A of the Citizenship Act” and then continued: “On 14th. July, 2004 in response to an unstarred question pertaining to deportation of illegal Bangladeshi migrants, The Minister of State, Home Affairs, submitted a statement in Parliament indicating therein that the estimated number of illegal Bangladeshi immigrants into India as on 31st December, 2001 was 1.20 crores, out of which 50 lakhs were in Assam”. The court also stated that “the petitioners in the various writ petitions represent the entire people – the tribal and non-tribal population of the state of Assam”. Thus, the presence of a large body of illegal migrants from Bangladesh has been stressed upon by the apex court of the country from time to time. 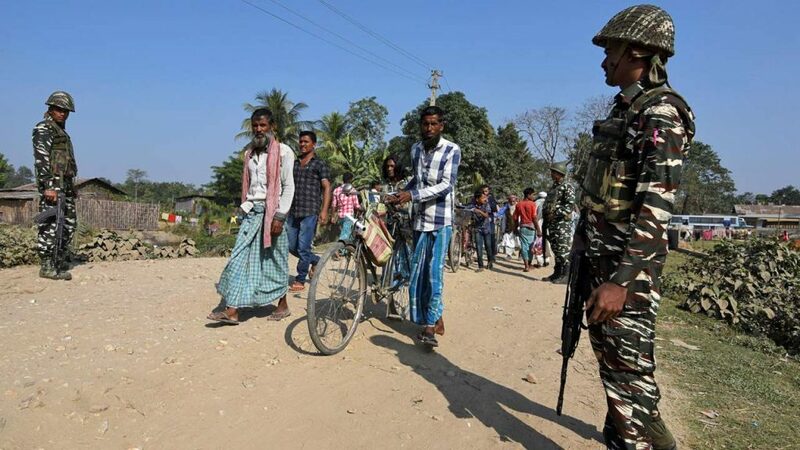 Moreover, before finally taking upon itself to monitor the process of updating the NRC in Assam, the apex court had passed several judgments relating to the NRC and the issue of illegal immigration into the state. Now that the final draft of the NRC has been published and over forty lakh people have been left out, plenty of questions have naturally been raised about the future status of these people, especially because it is bound to involve major humanitarian issues. However, it is a positive sign that the state has been totally free of any violent incidents since the publication of the NRC. One major reason for this state of calm is that an overwhelmingly large section of pre-1971 people who have long been considered as illegal migrants or ‘Bangladeshis” have made it to the NRC. This has given them a sense of security which they had lacked all these years. The involvement of the Supreme Court seems to have lent a sort of sanctity to the entire process and initial apprehensions among linguistic and religious minorities after the first draft was published in January 2017 which had left out almost half of the state’s population, seem to have been largely dispelled after the figures of the final draft were made public. That the Supreme Court has been closely monitoring every stage of the NRC process became evident when on August 7, 2018, it severely reprimanded the NRC coordinator Prateek Hajela and the registrar general and census commissioner Sailesh for exceeding their brief in speaking to the media. The bench of Justice Ranjan Gogoi and Justice Rohinton Fali Nariman warned them that as far as the NRC was concerned, they were officers of the court and couldn’t make statements regarding the NRC process. Hajela had reportedly told the media that any valid document would be considered for the final NRC. While cautioning both, Justice Ranjan Gogoi read out from an earlier order of his which clearly stated that “…what has been published is only the complete Draft NRC which naturally being a draft cannot be the basis of any action by any authority”. 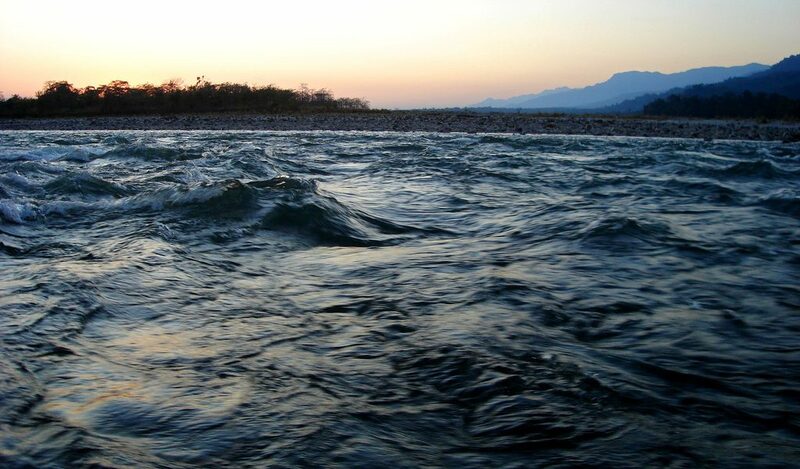 Although it is quite certain that a substantial number of those left out of the final draft will be included after the claims and objections are considered, yet the debate seems to have shifted in Assam to the large number of indigenous people who seem to have been left out, with some sources putting the figure between six to ten lakh. It is true that large numbers of the indigenous people did not even apply for inclusion in the NRC, many thinking that this was an exercise primarily aimed at detecting foreign nationals. 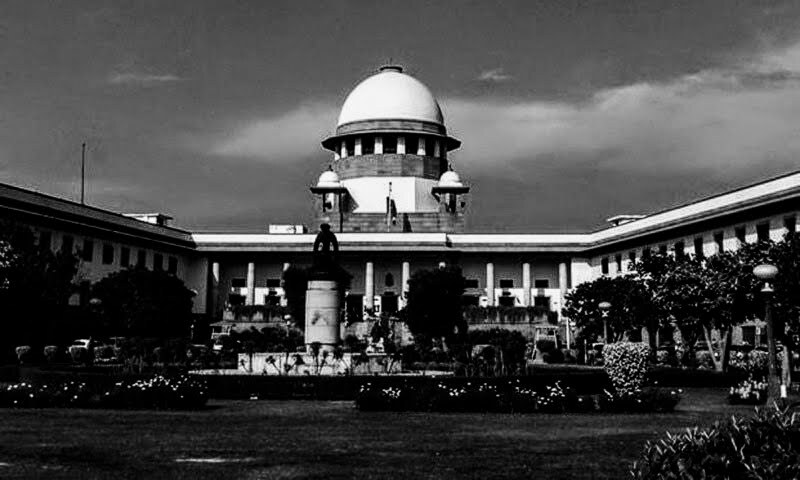 Once the Standard Operating Procedures submitted to the Supreme Court by the Centre are accepted and the court takes into consideration the views of all the stakeholders that it has named – which include minority linguistic and religious organisations, apart from bodies representing the majority Assamese ethnic organisations – the overall picture will become somewhat clear. Till then, apprehensions and fears are bound to persist. Nonetheless, till all this finally takes shape, and that is bound to take up considerable time, those who have been left out of the final draft need not be seen as stateless or shorn of citizenship. While the speculation regarding the religious and linguistic break-up of those that have been left out continues, the Assamese ethnic organisations seem to have realised that although NRC may have highlighted the issue of illegal immigration for the rest of the country, yet it is likely to be of little help for the indigenes to secure their land rights which have been severely compromised. Hence, the focus is gradually shifting from the NRC to the issue of constitutional safeguards for the Assamese people as stated in Clause 6 of the Assam Accord. Demands are now surfacing for stringent measures, including eviction, to protect indigenous land and the tribal belts and blocks, in line with the recommendations of the Hari Shankar Brahma Committee Report on the status of land held by the indigenous people. The committee, headed by the former Chief Election Commissioner, which highlighted the grave situation of the landless indigenes of the state, submitted its findings in December last year. Thus the issue of land and identity and the demand for eviction of encroachers from tribal and indigenous land is bound to occupy central place in the months to come. There is reference to the measures that have been adopted towards safeguarding land and resources of the ethnic people in some of the northeastern states bordering Assam. But most of these states are governed by Inner Line Permits which severely restricts people from outside these states to settle permanently in these regions. Manipur and Meghalaya which do not have Inner Line restrictions, have passed their own laws to protect indigenous land. On the contrary, Assam’s position is quite unenviable because all these years the question of constitutional safeguards for the Assamese people has been stuck over the failure to arrive at an accepted definition of who actually is an indigenous Assamese. The Asom Sahitya Sabha, the state’s prime Assamese literary organisation has , after much dilly dallying, declared that ‘all Indian citizens who live in Assam and speak the Assamese language as the mother tongue or, either as their second or third language, irrespective of their origin, ethnicity, caste or religion, are an inseparable part of the greater Assamese society and hence, are Assamese’. On the other hand, the speaker of the Assam assembly had, in March 2015, put forward the definition of Assamese as provided in the 1951 census that stated that anyone speaking Assamese or tribal dialects and Bengali in Cachar, could be called Assamese. None of these definitions have been acceptable to the different ethnic organisations and the impasse over an acceptable definition continues. Meanwhile, with the parameters of Assamese nationality having expanded over the years to include all those initially Bengali speaking Muslims who have been returning Assamese as their mother tongue through the different censuses, the question remains as to whether they too would naturally come within the definition of ‘Assamese’ when it comes to constitutional safeguards relating to land, representation and culture. 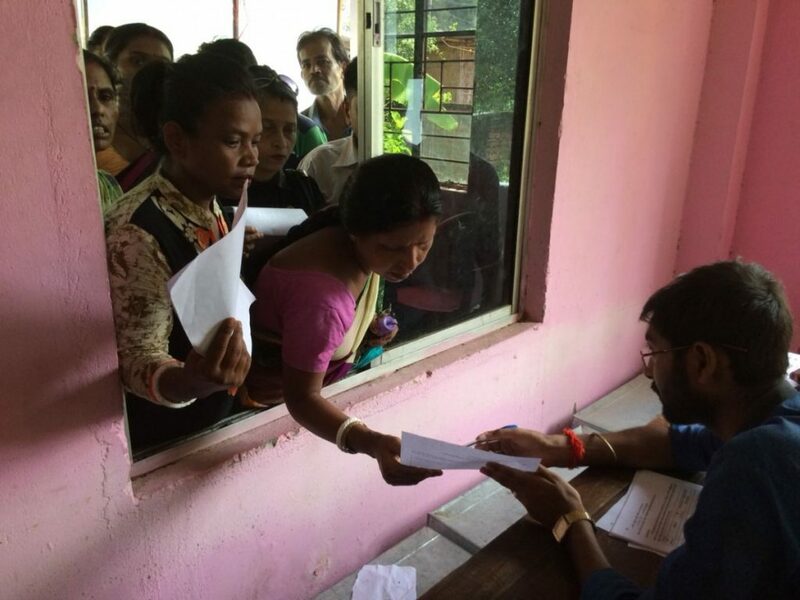 Now that a great many of them have been enlisted as genuine citizens in the NRC, their demand to be seen and accepted as Assamese is bound to be strengthened. Udayon Misra is Former National Fellow, IIAS, Shimla and author of Periphery Strikes Back (IIAS) and Burden of History:Assam and the Partition, (OUP-IIAS).